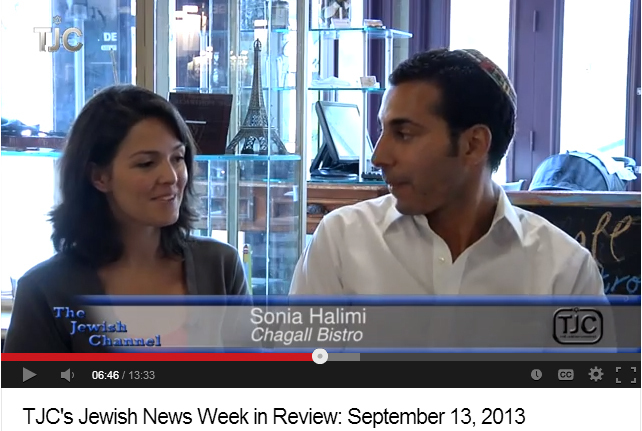 to highlight the fact that they are first kosher restaurant in Park Slope in over 15 years. We were just there last week and you can see some of the great dishes here. Now, you can see the abridged version of The Jewish Channel video by clicking on the image below (Chagall appears at the 6:03 mark). The full version of the segment is on the show's On Demand Channel. Great Kosher Restaurants Publisher Elan Kornblum makes an appearance as well. BUT READERS, WE NEED YOUR HELP. We have Dish Network here but they don't carry The Jewish Channel. If any of you have these cable providers below, can you tape the Chagall segment and send it to us? Thank you.